The April 2018 general conference was unforgettable, with big Church announcements, powerful testimonies of our Savior, uplifting messages, Easter, and April Fools' Day all combining to make a historic weekend. President Russell M. Nelson announced in the Sunday afternoon session of general conference that the Church’s home and visiting teaching programs "will be replaced by a coordinated, more personalized approach known as 'ministering.'" according to Mormon Newsroom. During the Saturday priesthood session, President Russell M. Nelson announced major organizational changes to the adult priesthood quorums. The changes included restructuring Melchizedek Priesthood Quorums and High Priest Quorums into one Elders Quorum and all the stake High Priesthood Quorums will now be based on current priesthood callings. During the Saturday morning session of general conference, members of the Church of Jesus Christ of Latter-day Saints had the privilege to sustain our new prophet during the solemn assembly. In addition, Church members also had the chance to sustain our two new apostles: Elder Gerrit W. Gong and Elder Ulisses Soares. Elder Gong is a California native with Chinese ancestry who has spent much of his life improving international relations in Asia, through both his career and his Church service as a missionary and General Authority Seventy. Elder Soares was born in São Paulo, Brazil, and was the director for temporal affairs in the Church area office in São Paulo, Brazil, when he was called as a general authority and has spent his church service helping those in Africa and Brazil. Both of these witnesses of Christ have powerful testimonies of the Savior. Elder Gong said in April 2016 general conference, "At times in history, mortal men have been executed by crucifixion. But only our Savior, Jesus Christ, embraces us still carrying the marks of His pure love. Only He fulfills the prophecy of being lifted up upon the cross that He might draw each of us, by name, to Him." Elder Soares said in April 2017 general conference: "I testify that God is real. He lives. He loves us. He listens to our prayers in our moments of happiness and in our moments of doubt, sadness, and desperation. I testify that Jesus Christ is the Savior of the world. He is the Redeemer." As President Nelson announced Saturday afternoon, the Church will no longer read the statistical report during general conference but will release it following the Saturday afternoon session. Read the report here. During the Saturday afternoon session of general conference, President Dallin H. Oaks announced the new Young Women Presidency, which includes Sister Bonnie H. Cordon as president, Sister Michelle Craig as the first counselor, and Sister Becky Craven as the second counselor. At the time of her call, Sister Cordon was serving as the first counselor in the Primary general presidency, but she will now move forward in her new role as Young Women general president. Learn more about these remarkable women here. President Dallin H. Oaks announced in the Saturday afternoon session of general conference eight new General Authority Seventies and 55 Area Seventies. In addition, he announced that Elder Carl B. Cook and Elder Robert C. Gay will serve in the Presidency of the Seventy, filling the vacancies left by Elder Gerrit W. Gong and Elder Ulisses Soares to the Quorum of the Twelve Apostles. Learn more about these new Church leaders here. As Mormon Newsroom reported: "As the final session of the Church’s 188th annual general conference came to a close, Russell M. Nelson, president of The Church of Jesus Christ of Latter-day Saints, announced plans to build seven new temples. 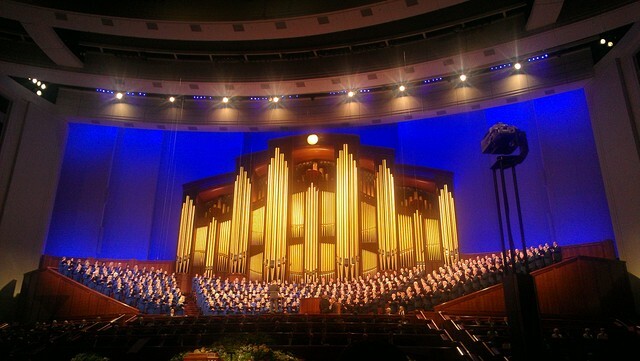 These temples will be in the following locations: Salta, Argentina; Bengaluru, India; Managua Nicaragua; Cagayan de Oro, Philippines; Layton, Utah; Richmond, Virginia; and a major city yet to be determined in Russia." Learn more about all of these temples here.